Parents gathering around the PAC-Bell Tower area for back to school night. 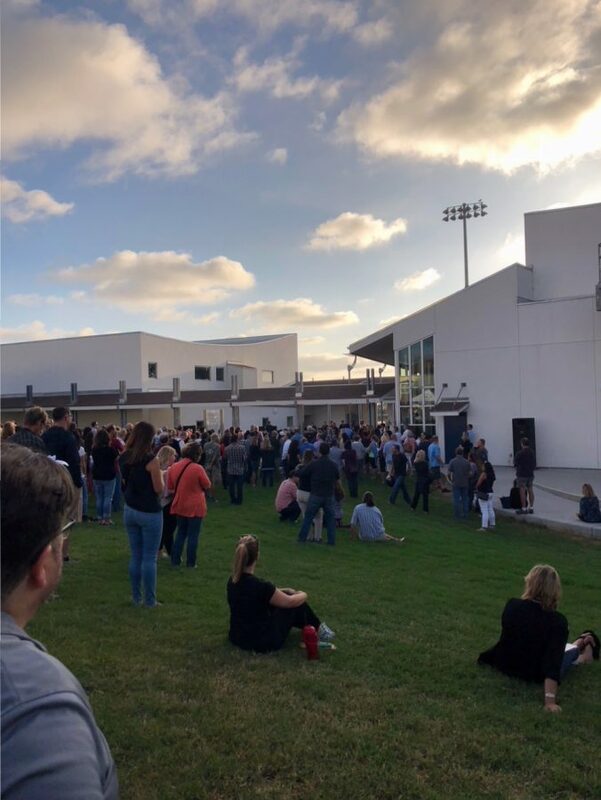 Parents and teachers gathered Tuesday evening at San Dieguito Academy for the annual Back to School Night, where the Academy’s teachers introduced themselves and showcased their semester plans to another new set of adult faces. Above all, Chao just wants the freshmen parents to rest assured that their children are in capable hands and teaching is a “responsibility I don’t take lightly,” Chao said.